If your questions are not answered here, please message us at +9779843422306 or email us at info@adventuretreks.com , and we will be excited to assist you. 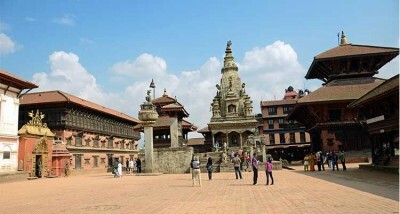 Lets get prepared with everything you need to do before coming to Nepal and while in Nepal. The product terms and conditions apply in addition to our Booking Terms and Conditions (available on our website) and terms and conditions of the relevant travel service provider. All prices mentioned are per person (unless otherwise stated), subject to availability and may be withdrawn or varied without notice. Accommodation (if included) is based on twin share unless otherwise stated. Prices shown are for payments made by cash in store or by bank transfer. Payments made in store by credit card will incur a surcharge. These prices are a guide to the best price and are subject to change without notice, due to matters outside our control, such as adverse currency fluctuations, fuel surcharges, taxes and airfare increases. Please inquire for further details..